Last summer, I made a Pippa with a ruffled bodice for the Showcase and didn't get to keep it. I have been wanting to make another ever since. 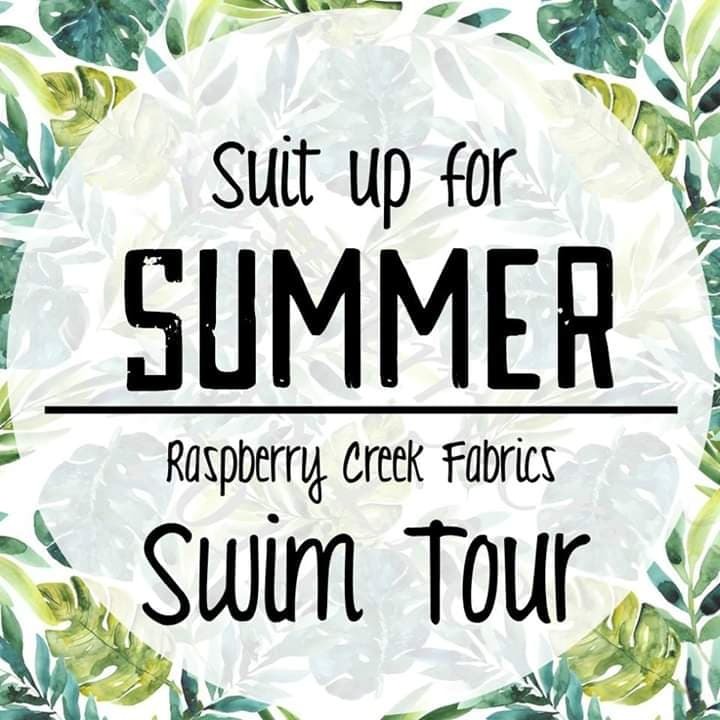 Raspberry Creek had the perfect fabric for this cute little suit! My daughter loves pink and has been totally obsessed with all things circus since The Greatest Showman came out. It’s such a pretty pale pink with white polka dots and there are several coordinates that can work with it. In addition to these prints, they have 37 other prints, 9 solids, and 26 board short prints. 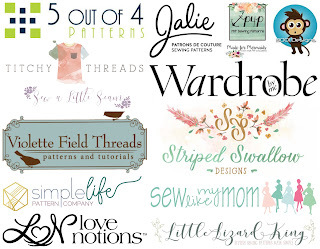 You will be sure to find something you love! Today, I am going to share with you how I added the ruffle to the Pippa bodice. You may want to grab your tube turners, stretch needles, and your bodkin just to make life a little easier (oh and don’t forget your clear elastic like I did). I decided to leave the skirt off of the bottoms since I was adding it to the top. If you choose to do that too, there are instructions in the pattern for making the plain bottoms. I started by cutting all of the pieces I needed for the plain bottoms and the top. I also cut a ruffle using the measurements from the skirt ruffle. You will need two ruffle pieces. I followed the pattern, as written, through step 9. From here I diverged a little bit. After step 9, I separated my bodice and lining pieces. I sewed my two ruffle pieces together, right sides touching, along the short ends, creating a circle. I used two rows of gathering stitches and gathered it up to the same size as the bottom of the bodice and clipped it together. I sewed it to the bodice main only, right sides touching, and serged the seam allowance (you can zig zag for a similar result). *Before sewing the ruffle to the skirt, you should sew clear elastic, without stretching it, to the bottom of the bodice main to stabilize your fabric. We just returned from vacation and in my post-Disney haze, I forgot to do this step. Next, I serged the loop of elastic made in step 9 to the wrong side of the bodice lining only (you can zigzag here as well). This is what it will look like from the inside when everything is separated. You can fold the elastic under and top stitch it down to the bodice main if you prefer to have all of your seams enclosed. I have tried it both ways and prefer to leave it as two separate pieces (I personally think it looks better). Because I left it un-sewn at the bottom, I stitched the two layers together in the ditch of the side seams. This is what it would look like if you were to enclose the seams. You would fold the elastic in once more and top stitch it 1/8" above the ruffle. I chose to only join my layers on the sides. I stitched it from the front being careful to stay in the seam, but you wouldn't be able to see it as well, so I included a picture of what it will look like from the inside. I also wanted that cute little kitty in the middle to remain visible and the center of attention, so I tweaked the Pippa bow as well. Instead of just one bow in the center, I made two and attached them to each strap. There you have it, a cute little variation on an already perfect suit! Like I mentioned before, my bodice is wobbly. I neglected to use clear elastic, face in palm! This is why clear elastic is important. It will stabilize your bodice so that your fabric doesn’t get stretch out by the weight of the ruffle/skirt. Once the suit is on, it is not very noticeable because it is a snug fitting garment. If it wasn’t you would definitely notice. This has been a great blog tour! 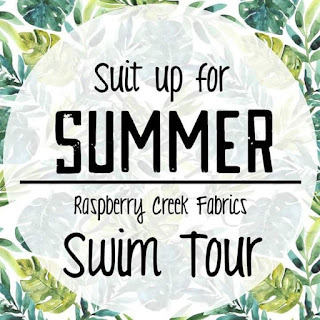 I hope you had a chance to checkout what all the other amazing swim sewists have made with this amazing fabric! 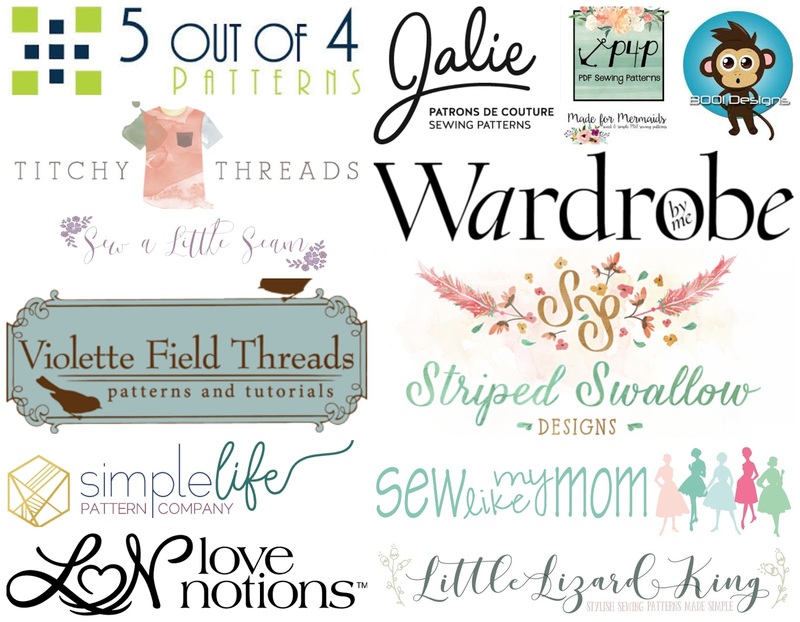 Thanks to Raspberry Creek for letting me be a part of this, all the sponsors, Ericka and Jessica of Violette Field Threads for encouraging me to do it and letting me crash their blog, and to the fabulous hosts: Karly and Tami! Great blog post, Amber! I love seeing what you sew up for swim!